An unused cultural centre in Romania. What was once a grand hotel in Romania is now left abandoned. An abandoned sanatorium spa in Romania. A grand abandoned bath house in Romania. 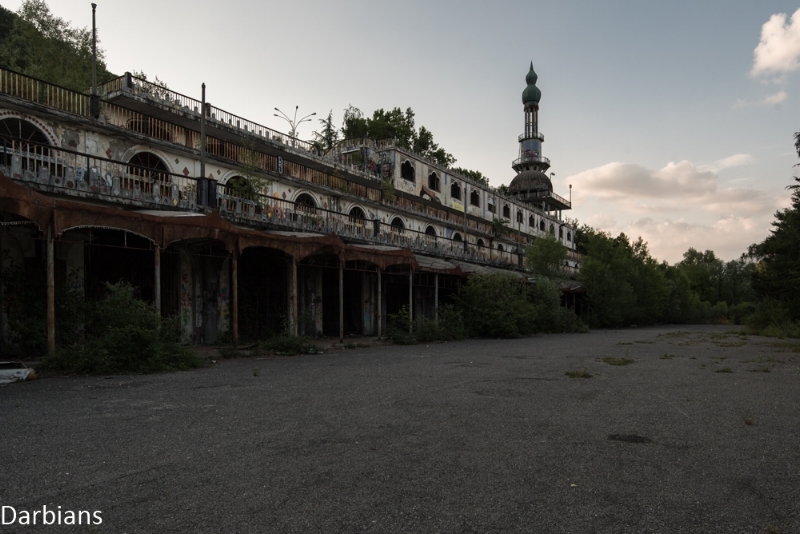 A large stripped and abandoned hotel in Romani. Which is apparently haunted. A grand abandoned casino in Romania. Renovation work has started here but it seems to of been put on hold. A beautiful art-deco theatre left abandoned in Italy. Sammezzano is large abandoned castle in Italy with an extremely extravagant interior. A stunning art-deco theatre in Italy which also houses a nightclub and a bistro. The remains of an abandoned race circuit in France. An abandoned hotel in Belgium which was frequented by the upper classes.